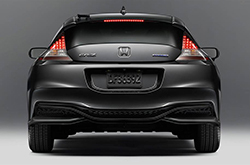 For sports car enthusiasts, Honda might not be your first thought when beginning the shopping process. But that will all change once you get behind the wheel of the Honda CR-Z. A terrific coupe model that sports not only terrific power and top-of-the-line driving agility, but also an extraordinarily efficient hybrid powertrain, the 2016 CR-Z will blow your expectations out of the water. For its most recent model year, the 2016 Honda CR-Z near Phoenix gets even more standard amenities and options, as well as an updated front and rear, more safety features and an all-infotainment display. All of the CR-Z's features are divvied up into three well-equipped trim levels: LX, EX and EX-L Navi. Standard features include 16-inch alloy wheels, a rearview camera, a tilt-and-telescoping steering wheel, cruise control, full power accessories, a retractable cargo cover and automatic climate control. Drivers will also find several terrific tech features on the 2016 Honda CR-Z, including Bluetooth connectivity, a six-speaker sound system, a USB audio interface, Pandora radio and the 7-inch touchscreen display. Many 2016 Honda CR-Z reviews recommend choosing either the EX or EX-L with Navi if you're looking for the most premium features, such as LED and xenon lighting, leather seating and accessories, HD radio, more advanced safety features and satellite-linked navigation. 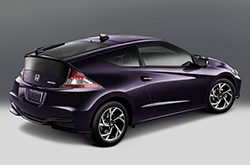 Power-wise, the 2016 Honda CR-Z in Phoenix combines a 1.5-liter four-cylinder with an electric motor. This powertrain produces 130 horses and 140 lb.-ft. of torque when paired with the coupe's standard manual transmission. A continuously variable transmission (CVT) is also available with a torque output of 127 lb.-ft. Drivers will also be able to find a three-mode drive selector that adjusts the CR-Z's pedal sensitivity, motor assist and transmission programming, depending on the mode you choose. There is even a Plus Sport System that provides a jolt of acceleration when activated. All of these fantastic features are just a few of the main ingredients that make the Honda CR-Z such an excellent sport coupe. Keep reading our 2016 Honda CR-Z review below to find out even more about the CR-Z and its many exceptional standard and available features. 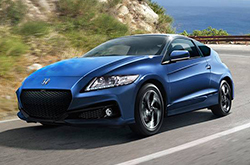 When you compare Honda's new 2016 CR-Z next to the 2016 Ford Fiesta, Hyundai Veloster, Chevrolet Sonic and the Mazda RX-8, we're sure you'll find out that the CR-Z is right for you. Shoppers will benefit from the CR-Z's tasteful styling, as well as its state-of-the-art cabin amenities. 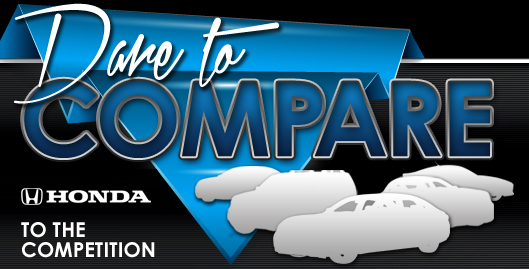 When comparing its price to the vehicles listed above you will definitely see that Phoenix Honda customers select it because it's a truly amazing value. Scan our Quick List under this paragraph to find out more! To make your car search less of a hassle, Bell Honda is happy to offer research tools like the 2016 CR-Z review above, as well as reviews of preceding models. It's our responsibility to outfit reviews transcribed by the most skillful automotive writers in the business - it's just one of the things that makes us a premier Phoenix area Honda retailer. As you read this article, you'll see that it is bundled with dependable information about all the things you're looking for in the new CR-Z - mpg and other specs included. After viewing Bell Honda's review of the new CR-Z, reach out to us to arrange a test drive and find out about great short-term lease offers!